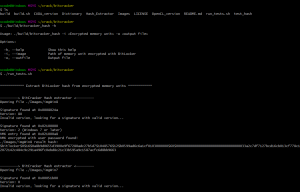 Browse: Home / BitCracker is the first open source BitLocker password cracking tool. BitLocker is a full-disk encryption feature available in recent Windows versions (Vista, 7, 8.1 and 10) Pro and Enterprise. 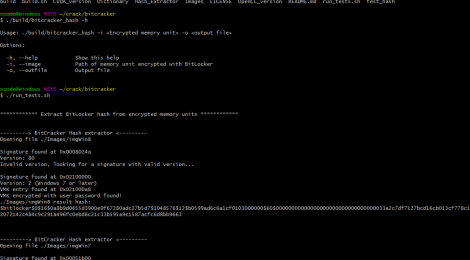 BitCracker is a mono-GPU password cracking tool for memory units encrypted with the password authentication mode of BitLocker. Our attack has been tested on several memory units encrypted with BitLocker running on Windows 7, Window 8.1 and Windows 10 (both compatible and non-compatible mode). Here we present two implementations: CUDA and OpenCL. 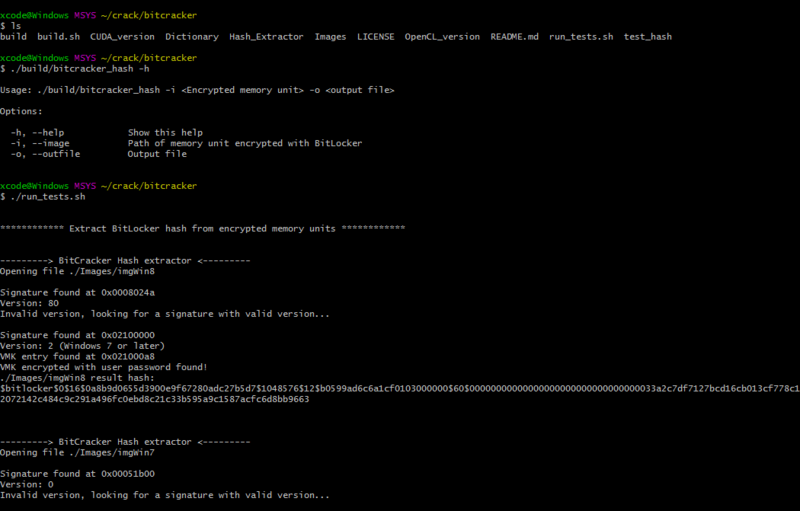 Before starting the attack, you need to run bitcracker_hash to extract the hash from the encrypted memory unit. Currently, BitCracker is able to evaluate passwords having length between 8 (minimum password length) and 27 characters (implementation reasons). BitCracker doesn’t provide any mask attack, cache mechanism or smart dictionary creation; therefore you need to provide your own input dictionary. ← Advanced Policy Firewall (APF).